It was a perfect St. Patrick's Day--not just for the wearing of the green, but for the wearing of the orange. 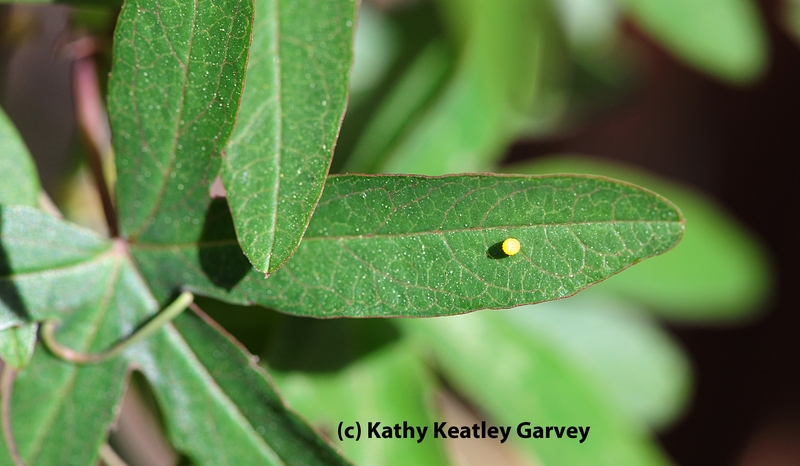 The Gulf Fritillary butterfly (Agraulis vanillae) arrived in our yard Sunday afternoon, March 16 and deposited an egg, just like E. Bunny will do soon. The Gulf Frit's host plant is the Passiflora or passion flower vine. Last winter Jack Frost nipped at the leaves and nearly killed one of our two plants but they're both springing back. 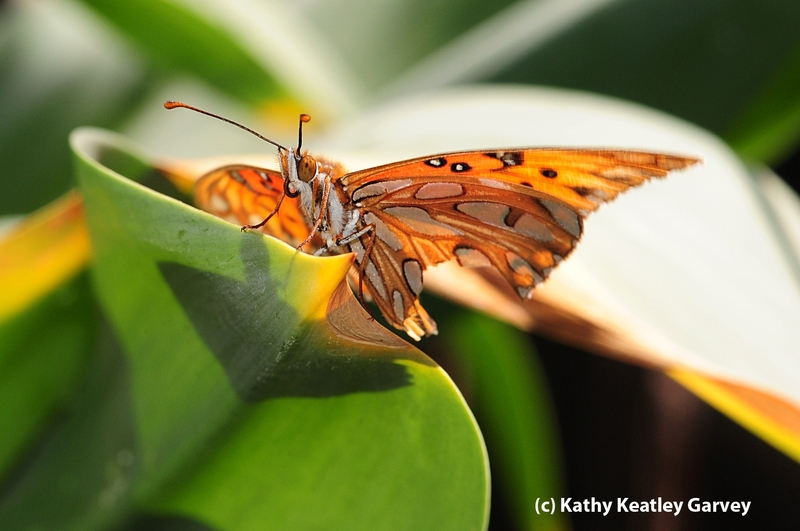 The butterfly first touched down on an Amaryllis (Amaryllis belladonna) before she located the two passion flower vines. Her battle-scarred wings related the story of a close encounter with a bird or other predator. 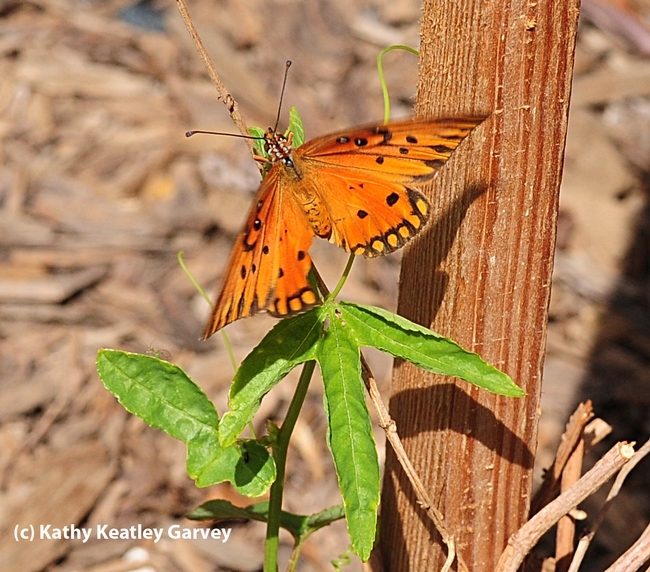 Once quite common in the Sacramento area in the 1950s and 1960s, the Gulf Fritillary vanished for about 40 years and is now making a comeback. It's a brightly colored orange butterfly with black markings and silvery spangled hindwings.